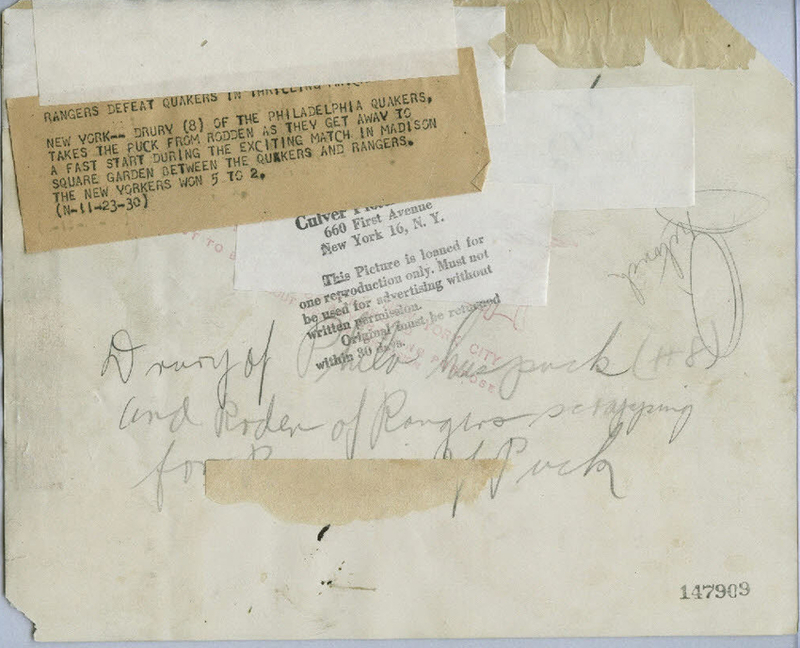 Collectors of scarce NHL memrobilia will surely appreciate a recent "find" by Brooklyn based SIHR member Paul Christman. One of his primary research interests is the short lived Philadelphia Quakers of 1930-31 and its predecessor, the Pittsburgh Pirates, which operated between 1925-26 and 1929-30. The Quakers were a dismal team, winning only 4 games, losing 36 and settling for a tie in 4 before the franchise ceased operations. Until seeing this 8x10 press photograph for sale on eBay, he didn’t think any Quakers game photos existed, with the exception of a few grainy ones of a Quakers-Bruins game which appeared in The Boston Globe newspaper. 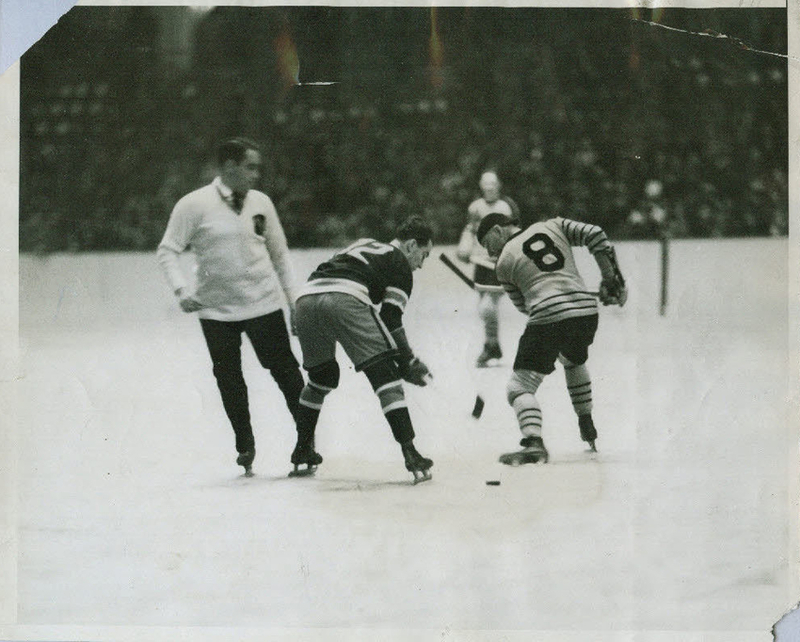 The photo shows Herb Drury, in his trademark ball cap worn backwards, taking a faceoff against Eddie Rodden of the New York Rangers in a game on November 23, 1930. The Rangers won by a score of 5 to 2. Also of interest is that this would be the final NHL season for both players. Drury retired after the 1930-31 season, and Rodden would return to the minors until he retired after the 1933-34 season.